Japanese space food will soon be available on the International Space Station; the Japan Aerospace Exploration Agency has certified 29 Japanese food products for use in space. 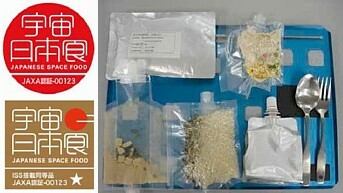 Astronauts and cosmonauts can now enjoy such Japanese take-out standards as ramen, curry, onigiri (rice balls) and green tea. What took them so long? 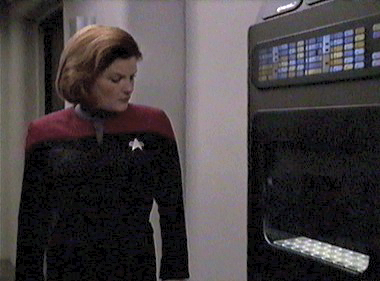 The ISS has tough standards for food in space; it must be able to survive the changes in temperature and pressure on the ride up, and must be able to survive a year in storage at zero-g.
And for dessert, a little bit of Kuroame (brown sugar candy); hopefully, the International Space Station also has stringent standards regarding brushing after meals. The food was three hundred thousand years old, I suppose. I didn't know, and the machines that served it to me didn't care, for they made things synthetically, you see, and perfectly. NASA has also given a great deal of thought about how to provide food to astronauts on long voyages; see Robotic Tomato Harvester Ready For Space for details. The Chinese space program is also interested in the effects of space travel on food production; see Chinese 'Seed Satellite'. US astronauts, however, are going to want beef; take a look at Cultured Meat Straight From The Vat.